Villa appear to have missed out on Bristol City’s Joe Bryan after Fulham swooped in to steal the full-back at the 11th hour. 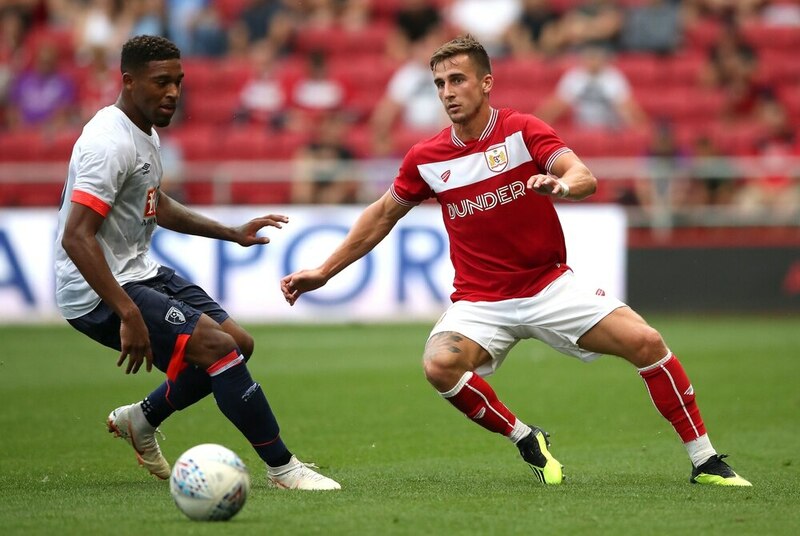 Joe Bryan (right) in action for Bristol City. Bryan looked almost certain to move to the Midlands after a fee of around £5million had been agreed with the Robins, even undergoing a medical at Villa’s Bodymoor Heath training ground. But Villa then found themselves gazumped when Fulham, who defeated Steve Bruce’s team at Wembley to win promotion in May’s Championship play-off final, also agreed a fee with Bristol City late on Wednesday. Bryan has instead travelled to London and was undergoing a medical with the Premier League outfit on Thursday morning, ahead of a likely deal. Villa are now likely to turn to the loan market, which remains open until the end of the month, in order to address their needs at left-back. Neil Taylor remains the club’s only recognised player in that position, with Alan Hutton deputising for most of last season.